RELAR provides the most accurate valuations for residential real estate on the market today. 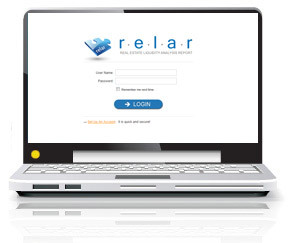 RELAR offers customized reporting tools that can be tailored by you to reflect property particulars. CDR Business Solutions, LLC, was formed in April 2007 to develop and provide the Real Estate Liquidity Analysis Report product in response to the developing liquidity crisis in the United States residential mortgage market. CDR’s RELAR product is designed to provide accurate and timely estimates of the expected selling price for a residential property along with an estimate of the time required to sell the property based on the characteristics of the residential real estate market in a geographic area. The Real Estate Liquidity Analysis Report is designed to determine the likely selling price and the amount of time required to sell an individual piece of residential real estate. CDR Business Solutions continually develops our system to improve functionality and to take advantage of the latest technology in our goal to give our clients the best user experience. Copyright ©2011 CDR Business Solutions, LLC. All rights reserved.